I am a pretty big fan of many shows on Bravo. 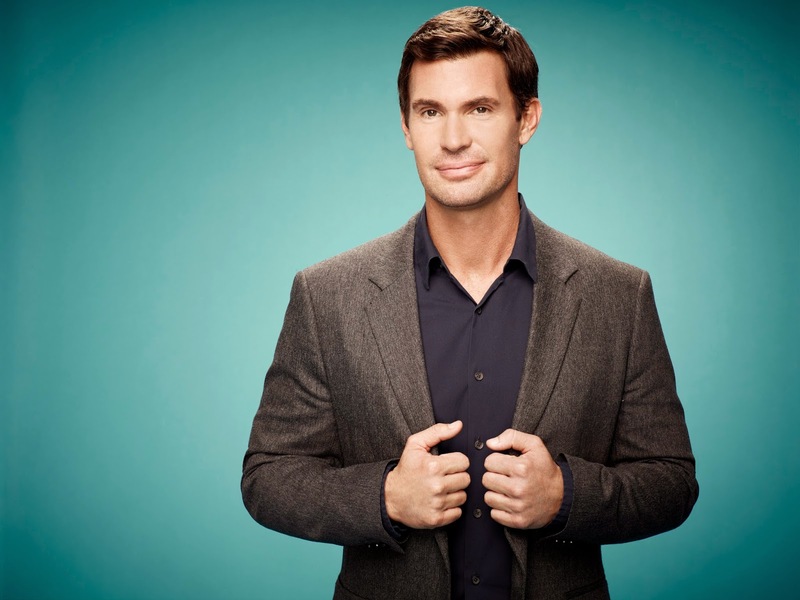 I have been watching Jeff Lewis since his first show, Flipping Out, began in 2007. The shows are always fun, and you get a first hand look behind the scenes of a high end home designer. Flipping Out airs Wednesdays at 10pm on the Bravo network. I was thrilled when I was contacted by Bravo to attend a conference call with Jeff this past Friday to discuss the show. He seemed as much fun on the call as he does on the program. 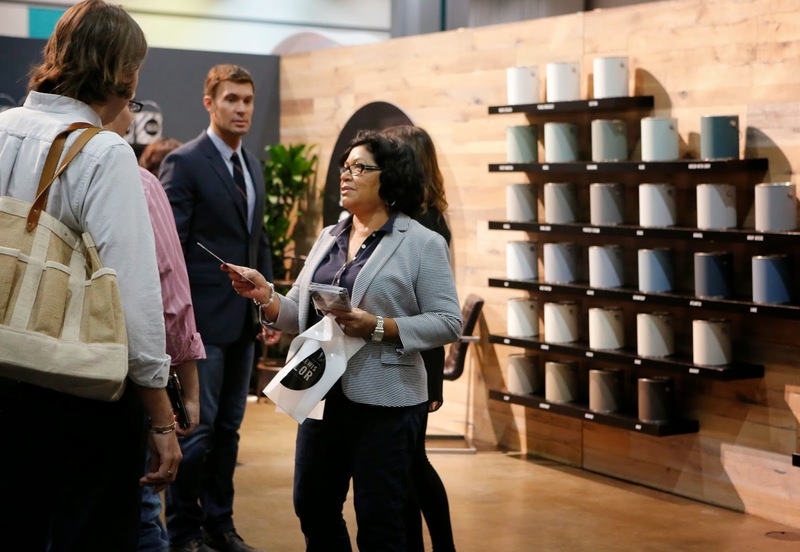 Tonight's episode shows Jeff and his staff at the Dwell on Design trade show in Los Angeles, showcasing his new paint line Jeff Lewis Color to the public. Jeff just recently completed a 4-5 year process to come up with a paint line that he felt was the best quality color, as well as keeping ownership of the line. He met with many paint designers, and he always wanted to work with color and paint. 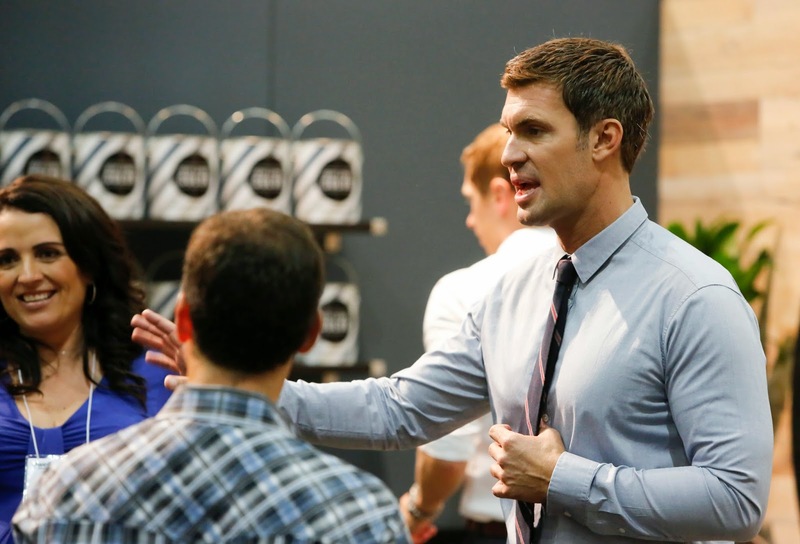 Jeff Lewis Color ships nationwide from the website, and is also available at Home Depot. The Jeff Lewis Color palette consists of 32 colors which are all neutrals, and come in 3 finishes. The above photo shows his loyal house manager, Zoila, sharing information with customers about the line. Jeff stated the most common mistake with paint folks make is not making the rooms in the house cohesive. You shouldn't walk in one room and then another and feel like you are in a totally different house! 3 to 5 colors with a unified palette is a good idea. Jeff would like to expand the line, and is looking to do colors for doors as a possible next addition. 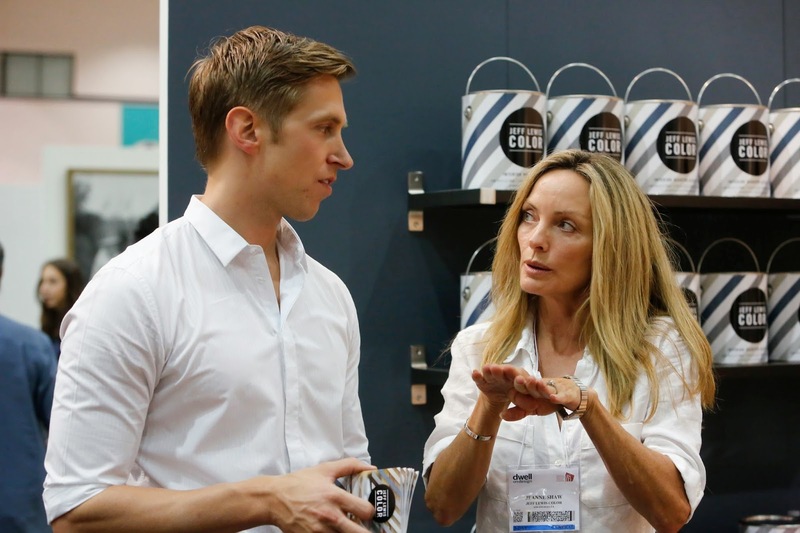 This above photo shows Gage, Jeff's partner who handles business affairs with Jeanne Shaw, wife of Tommy Shaw of Styx, talking about the new paint line. Jeff was asked if he would ever do an average person's home for free with a Bravo show. He advised he thinks that would be hard regarding a time frame, because it could take months, and possibly be very expensive to do. He says you should never rush work being done to a home because many things can be overlooked, and you can end up re-doing the work which will cost you more money. Jeff talked about what work an average person can do to their home to update it. He talked about painting, countertops, window covers, and that there is a wide variety of good inexpensive furniture in the market today. He stated that due to his animals, he is such an animal lover, he doesn't spend alot of money on his sofas/rugs where they spend most of the day. A DIY blogger asked if Jeff didn't like the DIY idea. He said he can't function unless the job is done, and everything is in place. When people say they are going to do something themselves, it usually takes forever, or never gets done. I can understand this if it is a big project, and you already have a full time job, you would do the work in your spare time, which doesn't always work well. The clients he works with, are professional folks, who really don't have time to do something on their own. Jeff prefers to hire a professional contractor to do the job. If you have never watching Flipping Out, please give it a try tonight! You will laugh, have some fun with Jeff and his crew, and maybe learn a few things about home design as well. Jeff seems to me like a very loyal guy, Zoila has been with him for 12 years, and even though he teases her like crazy, he treats her very well. There are so few decent shows on the television that when I do find one I like, I tend to stick with it. 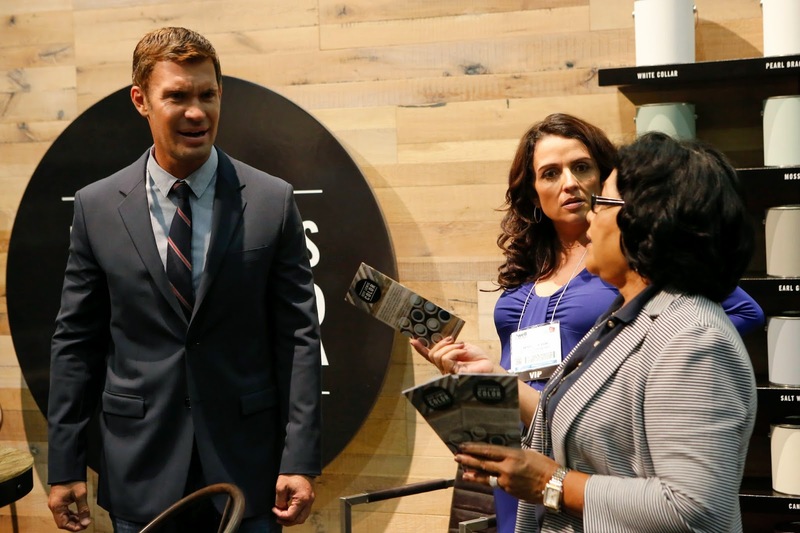 Are you a Jeff Lewis fan? Do you watch the show? Please let me know in the comments section below. A huge Thank You to Bravo for this wonderful opportunity!! Today's Words of Wisdom: Jeff to Zoila on how to dispose of the overflowing trash: "Put it in the neighbor's trash can, that's what I do."